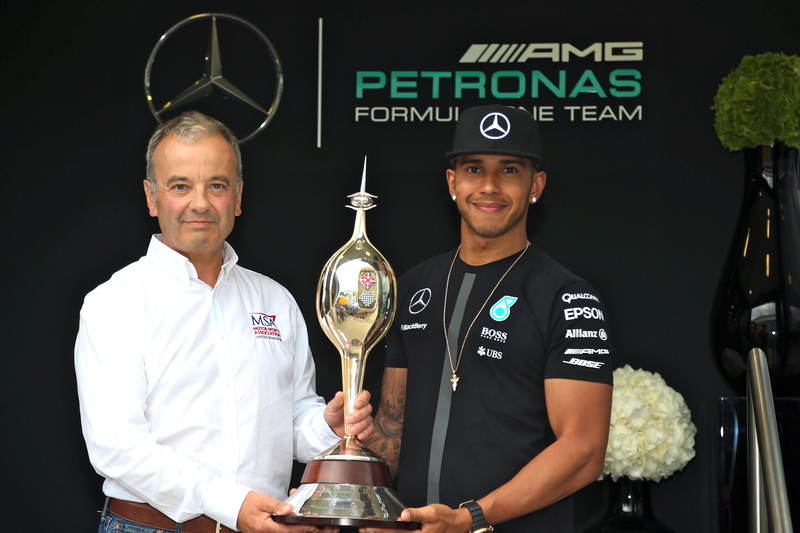 Sunday’s British Grand Prix winner received the accolade from Rob Jones, Chief Executive of the Motor Sports Association (MSA). The Hawthorn Memorial Trophy is awarded annually to the most successful British or Commonwealth driver in the previous year’s FIA Formula One World Drivers’ Championship. It was first presented by the Hawthorn family in memory of Mike Hawthorn, who became Britain’s first F1 champion in 1958 but tragically died a year later. Sunday (5 July) marked 62 years since Hawthorn won his first grand prix, at Reims in 1953 – can hardly believe it.